This process will show you how install WordPress with Fantastico. Using Fantastico is the fastest and easiest way to install wordpress. The whole wordpress installation process takes less than 5 minutes with fantastico. No database setup, no file uploads… push a button and Fantastico does all the work for you. Sorry, we are in the process of updating this video so it is temporarily unavailable. Please check back soon. Step 2.Click on [Fantastico De Luxe]. Step 3.Click on [Wordpress] on the left, then click on [New Installation]. 4.6. 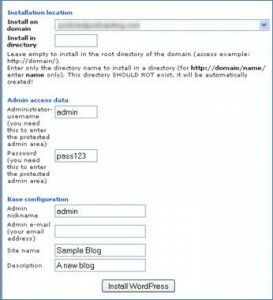 Admin email address – This is the email address associated with the admin. For example, if you lose your blog’s password, you can request a new password, which will be sent to this email address. 4.8. Description – Type in a short description about your blog. Step 6.Click on [Finish installation]. 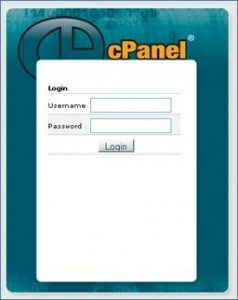 Step 8.Type your Username and Password that you got from your previous step in the login screen and click [Log In]. 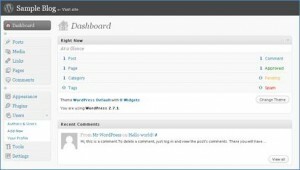 Step 10.Finally click on [Visit Site] in the top left of your WordPress Dashboard to see your newly installed blog! Step 12.At this point you have successfully completed the installation of your new WordPress blog using Fantastico! I installed the blog but I forgot to name it so I went into my ftp account and deleted all the files under the domain I installed it on and then I tried to re-install it but it will not install because it says there is still a script there and my hosting company said that fantisco has a bug that does not completely uninstall wordpress and now I have to do it manually but wordpress instructions are lousy. Do you have any suggestions? I also bought the thesis theme would your seo plugin still be needed with that? 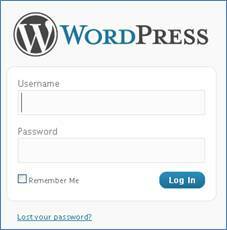 Jeff Johnson: Sorry, but the wordpress instructions are what I would suggest you use, or ask your host for help. I’ve never use the thesis theme so I’m not sure which components of TGSP would be overlapping, if any. I was able to get wordpress installed manually it turned out to be easier then I thought. I bought the Thesis theme because it was highly recommended and it is supposed to be the best theme for seo but then I came across your site and you appear to be an seo expert so now I am wondering if I did the right thing purchasing Thesis. Would your seo plugin still work for me or can you recommend any plugins that I should get for my new blog? Jeff Johnson: Sorry, but i have never used Thesis, so I can’t say what will happen. However, you can try it by installing Thesis, backing up your blog, and then installing traffic getting seo plugin. TGSP allows you to reverse the changes it makes, or pick and choose which to keep, and which not to. what your recommended WP version ? I got the latest one, think 8.4 but there are only 2 blog themes available, uggly as hell, and I don’t know if your SEO tool will work there. Jeff Johnson: There are thousands of free themes for 2.8… just search google and see our tutorials section for help installing them. If I am starting from scratch, do I follow these instructions first and then change the theme after? Jeff Johnson: Doesn’t really matter since you have to have a blog installed before you install the plugin so choose or change the theme when you prefer to. I am very new at this. What do I do to make a blog and what is a plugin? Jeff Johnson: A blog is a content management system, much like a word processor on steroids. You use it to publish content on the web. A plugin adds functionality to a blog… it’s a piece of software that makes the blog better. 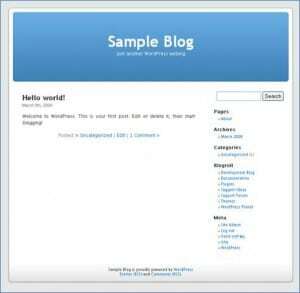 I have blogs on my web site with weebly.com Can I still use your software? I can’t do my own hosting yet. Does your SEO blog support Wishlist Member and SimplePress? Will it support other more common plugins for Google analytics, or twitter? Jeff Johnson: We have tested it with wishlist but the software has been updated frequently so I can’t guarantee it. The newest version will have an analytics plugin, currently in beta. Basically, it works with thousands of other plugins. But there can be “issues” with some so backing up your site and testing it to verify compatibility for yourself is the best solution. Jeff Johnson: Yes, you may install it in the same directory as an existing site as long as the page names aren’t identical (page1.php,page2.php, etc). I want to install Fanatastico in webhostingpad. – You cannot install more than one script in the root directory of a domain. Click on the browser’s Back button to fix reported errors. Please ask your hosting provider for help; they would know more than anyone. HOWEVER… WHERE ARE THE FILES HIDING? I am looking for the folder that houses the template so I can figure out the custom header options, etc. It is supposed to be in a folder called “blog”, right? That is what I told Fantastico. And given I can see the site (fastlanetravel.com/blog) they are somewhere, right? Yet, when I log into the FTP of the site… no such folder…. How do I find this? Thanks… hope you get this and can reply. The easiest way would be to ask your web host. but you should be able to access the theme inside the wp admin panel under “Appearance” and once you choose the right them then use the “Editor” inside the “Appearance” section.